Learn how to enable and disable certain columns from view. 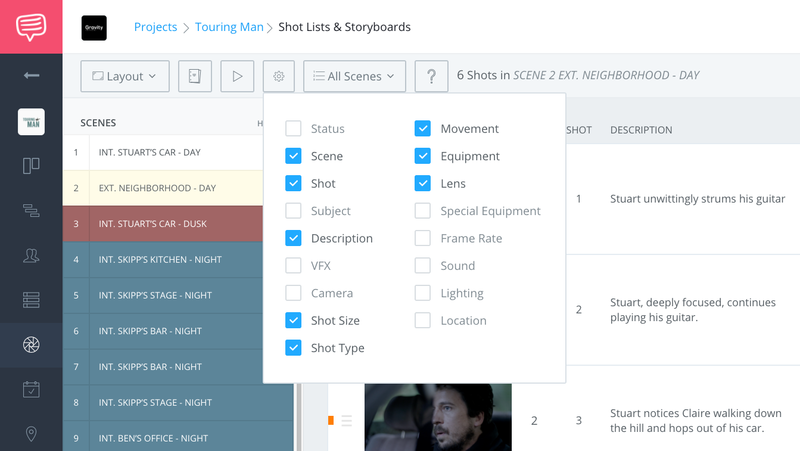 After you import a script or create a custom list, you can use the Shot Lists & Storyboard feature to visualize your project scene by scene, shot by shot. However, if your added shots aren't displaying all their details, adjust the columns to view more. 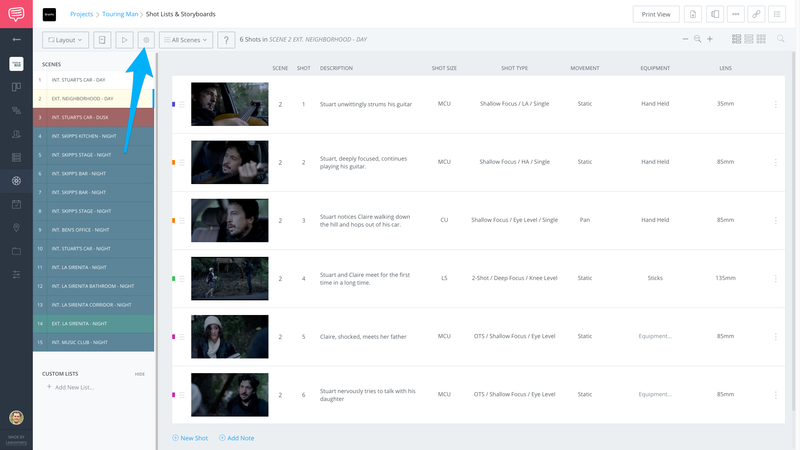 On your Shot Lists & Storyboards page, click the Adjust Columns Icon (⚙️ ). Use the menus checkboxes (☑️ ) to enable and disable columns from view. Your columns will be updated automatically. Why can I not take the time option off of the storyboards? To remove the time option, just click on Adjust Columns and tick "No Est Time"